Detroit Lions tickets and travel packages will soon be on sale with PRIMESPORT, the Official Hospitality & Fan Travel Partner of the Detroit Lions. Take your Lions pride to the next level this season with an Official Lions Fan Package from PRIMESPORT. 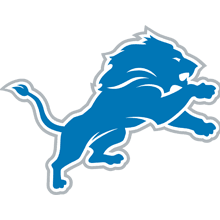 Get the latest Detroit Lions offers! The Detroit Lions and PRIMESPORT have teamed up to provide Motor City fans the chance to follow their team on the road for select games during the 2019 season with tickets, hotel accommodations and more. PRIMESPORT is the Official Hospitality & Fan Travel Partner of the Detroit Lions. The terms NFL® and Super Bowl® are trademarks of the National Football League. PRIMESPORT is a division of On Location Experiences.